This is the latest software that can be installed on the Windows 7 operating system. Select your language and press the download button on the website. You will be presented with a selection of different download options. It will display in the download summary the size and name of the file. Click on the next button to start your download. Select the directory location that you want the files to be extracted. Press OK to start the extraction and installation. After the files have been extracted the following message appears. 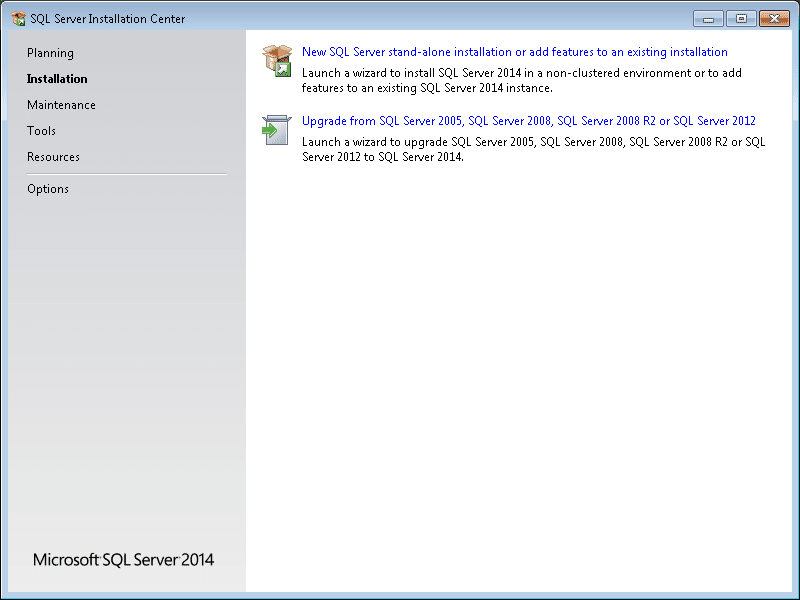 The SQL Server Installation Center window now displays. You will notice several options on the left side of the window. This same package can be used for upgrading, repairing, etc. You can explore all of the menus at any time by calling the file up again. See the YouTube video below for a quick guide. 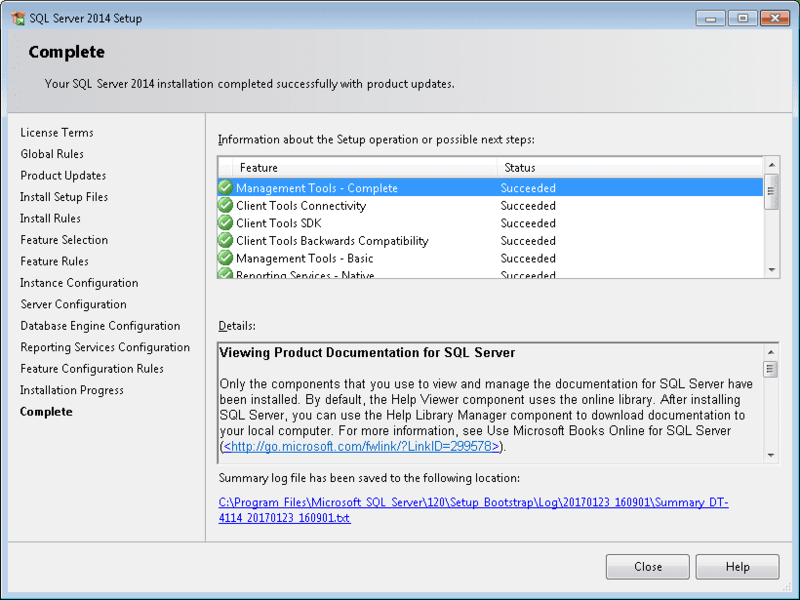 Select “New SQL Server stand-alone installation or add features to and existing installation”. The license terms now appear. You must check the “I accept the license terms” before the installation can continue. Now select Next. 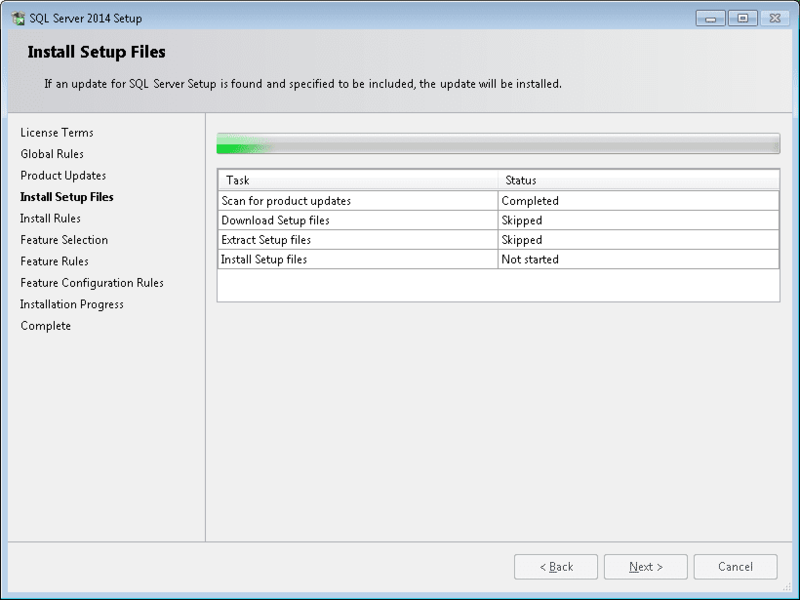 The install setup files will display. The feature selection window will now display. 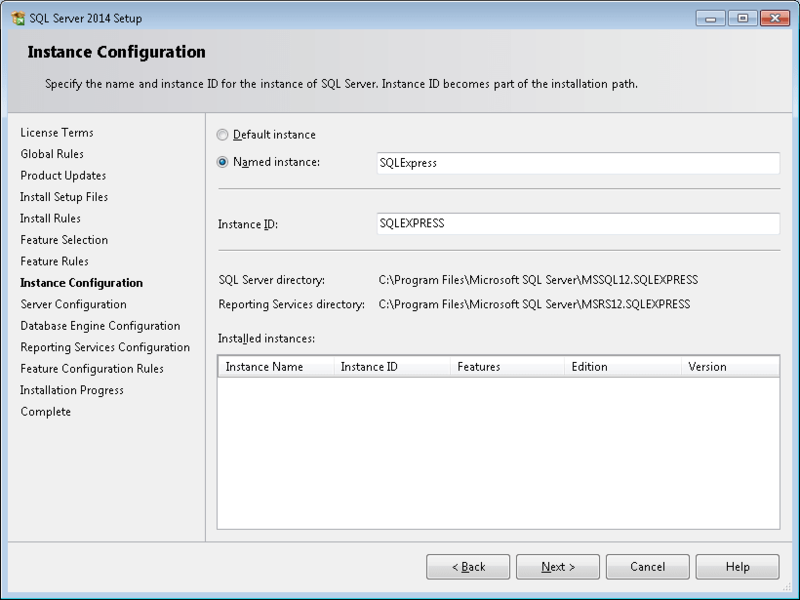 You can change the instance root directory and the features that SQL Server Express 2014 will install. We will leave the items in their default value and hit Next. 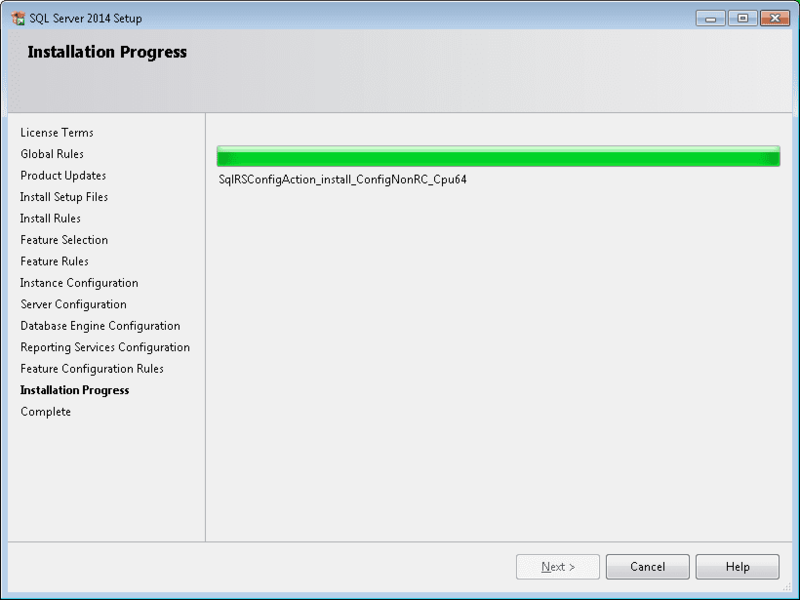 The instance configuration window will now appear. This is the name that we want to call the installation. We will leave this as the default name SQLExpress. Hit Next. Server Configuration window will now appear. This will allow us to specify when the service will start. We will leave everything as the default. Hit Next. 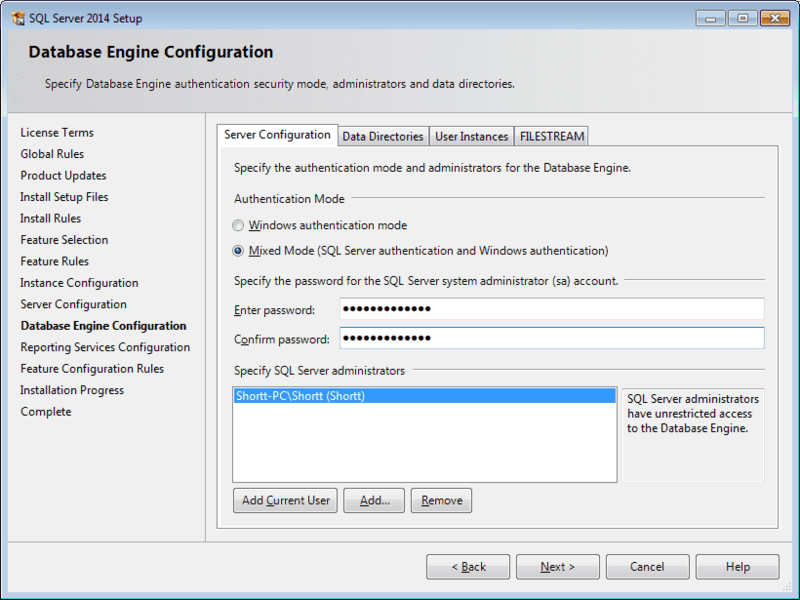 The next window is Database Engine Configuration. Under the Authentication Mode we will select the Mixed Mode. 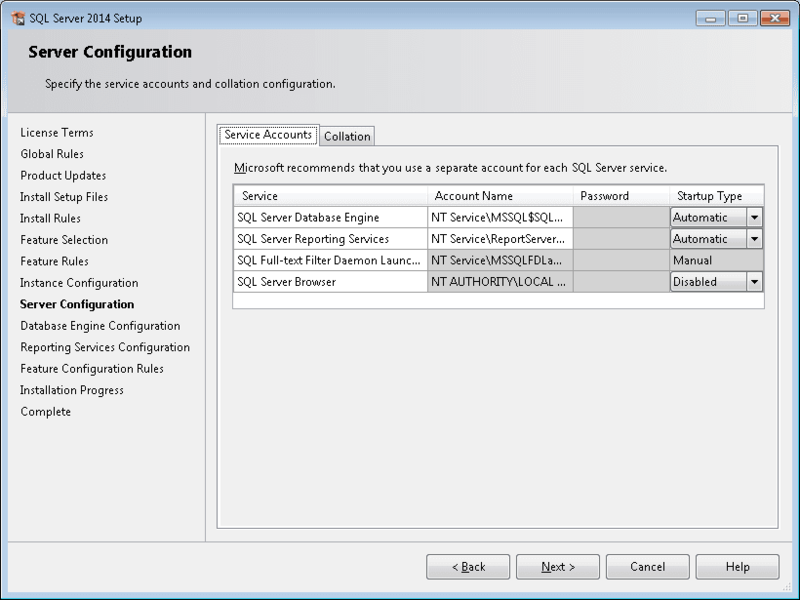 (SQL Server authentication and Windows Authentication) In this mode we can utilize remote authorization on the database easily. Specify the password and then confirm. Hit Next. We will leave the Reporting Services Configuration as default. 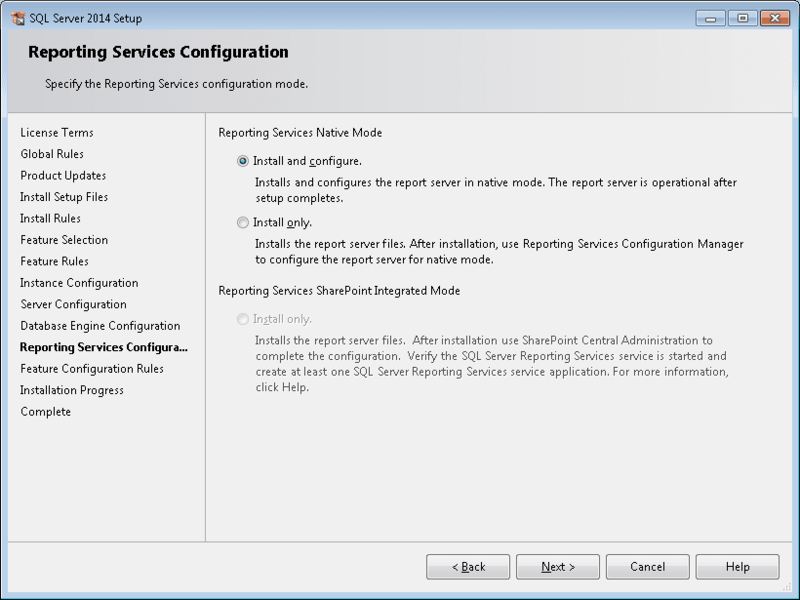 That is to Install and configure the Reporting Services Native Mode. Hit Next. Our installation now has all of the information it will need to start the installation. This may take several minutes to install. When the installation has completed the following window will appear. You can scroll down the list to verify that the items were all installed correctly. 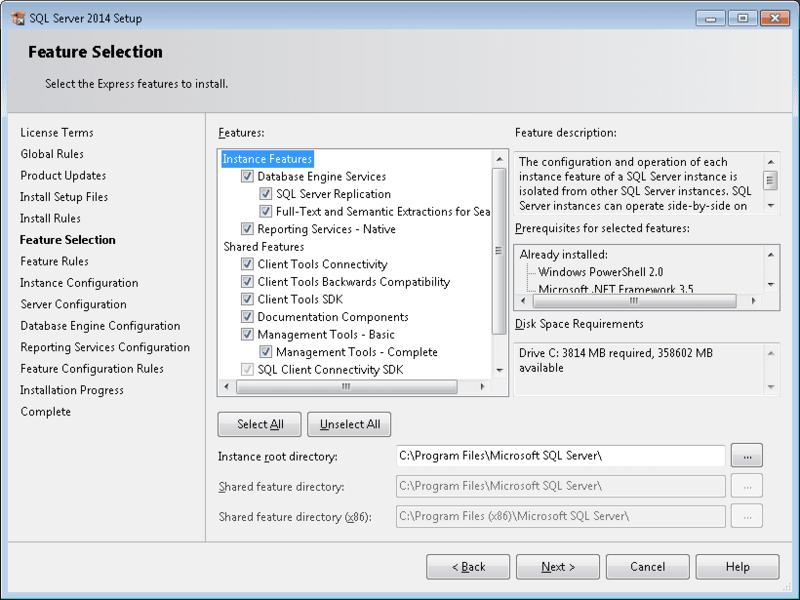 To start SQL Server Express 2014 go to your windows start menu. 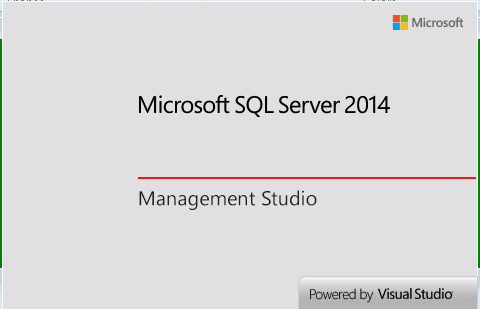 Select All Programs | Microsoft SQL Server 2014 | SQL Server 2014 Management Studio. The following splash screen window will now appear. 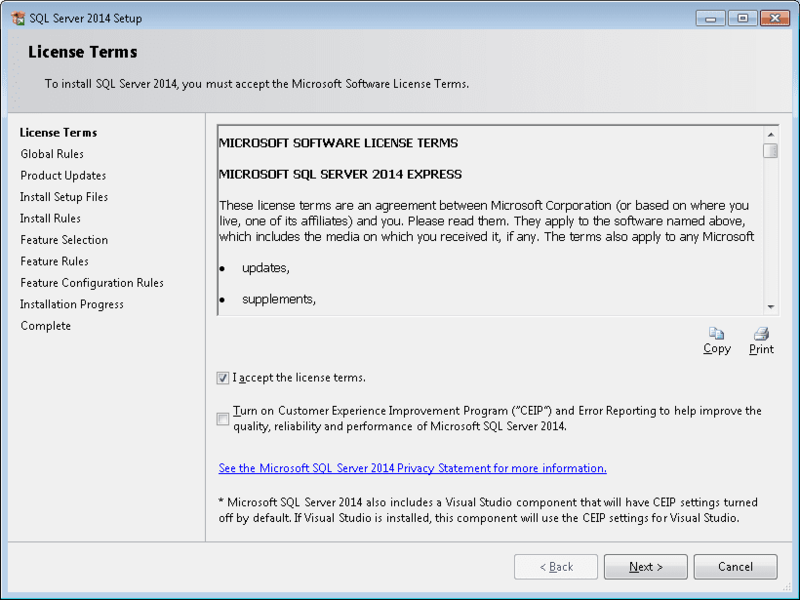 We have successfully installed SQL Server Express 2014. The following are some links with additional information. 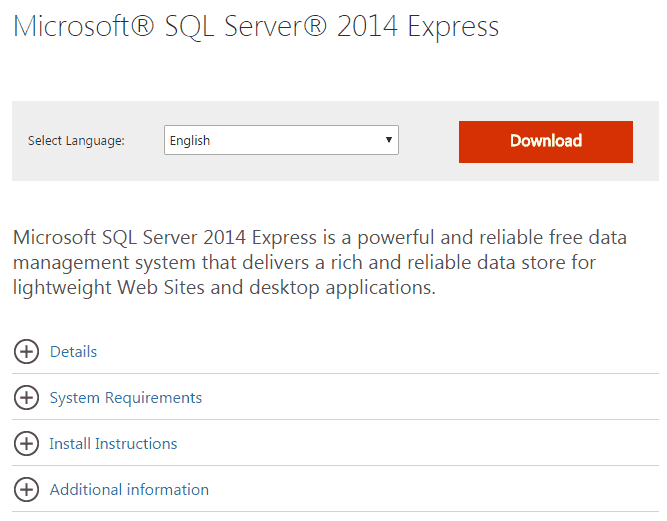 We will continue with SQL Server Express 2014 by adding databases and tables within them.